Over the next six months or so a clear picture of President’s Trump’s many misdeeds will come to light. At the top of the list will be obstruction of justice and campaign finance violations. Those two alone would be enough to impeach any other president. But those infractions are just the tip of the iceberg when it comes to Trump. Trump didn’t just start skirting the laws when he became president. He has been involved in all kinds of financial shenanigans throughout his career: bank fraud, tax fraud, money laundering, charitable foundation fraud. Investigators will also be looking at the misuse of money from his inauguration. Then there is the funneling of foreign money into his campaign through phony PACs and through organizations such as the NRA. Add to this Trump’s use of his presidency to enrich himself and his family through real estate deals and fees collected at his properties such as Trump Tower and Mar-a-Lago. 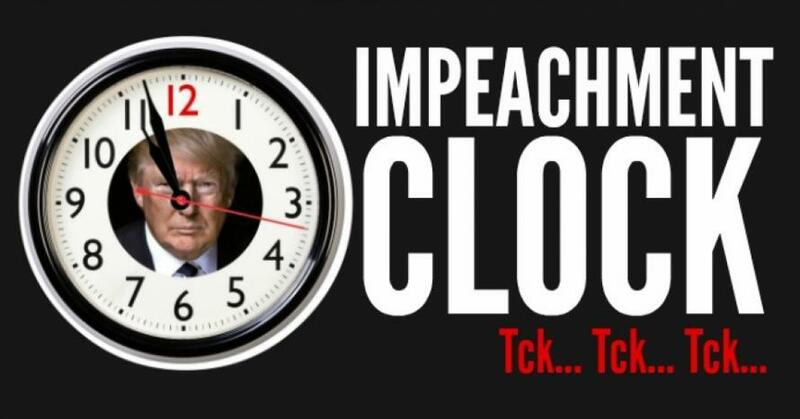 There is going to be an overwhelming push for impeachment. I hope we don’t go down that path. Let me explain. When the evidence is finally presented to the American people, Trump more than likely is going to be given an opportunity to resign rather than face impeachment. My guess is that Trump will not go quietly like Nixon and Agnew. He will see it through to the bitter end. At that point, Trump will become the first president removed from office through impeachment. So why is that a bad thing? Before I get to that, it would be a good idea to look back at Nixon and Agnew. Spiro Agnew was more of a crook than Nixon. The guy took bribes before and after he became Vice President. Prosecutors made him an offer that if he would resign he would not face criminal prosecution. Agnew took the deal. You can learn more about this piece of history by listening to the podcast Bag Man. Nixon was smart enough to resign before he was kicked out. But Nixon also got off the hook when he was pardoned by Gerald Ford. Now back to Trump. At the top of the list for many is whether or not Trump colluded with Russia to help win the election? We already know part of the answer. Manafort gave polling data to Konstantin Kilimnik, a Russian business associate with ties to Russian intelligence. Trump won the election by a narrow margin in three key states. There is already evidence to show that Russia interference, especially with regards to social media, increased substantially after Manafort gave the polling data to Kilimnik. That is collusion. Now did Trump participate or even know that this was taking place? Saying that Trump willing colluded with Russia is giving Trump more credit than he deserves. This is a guy whose campaign advisors were unable to come up with an immigration policy that Trump could articulate, so they gave him the build the wall line. I don’t know if Trump personally colluded with Russia, but he certainly knew a lot more than he has admitted to. For example, does anyone really believe that Trump didn’t know anything about the Trump Tower meeting with Russian attorney Natalia V. Veselnitskaya. He went on TV on June 7, 2016, before the meeting on June 9, 2016, and announced that he was going to be giving a major speech on the Clintons. The speech never happened because Trump Jr. came up short. Is it just coincidence that these two events happened to line up just perfectly? No president in history deserves to be impeached more than Trump. But here’s the problem. Whether Trump is impeached or he resigns, that still leaves President Mike Pence in charge. Who doesn’t think that one of Pence’s first actions will be to pardon Trump? A better option is to let the investigations play out and let Trump and his outraged supporters continue to scream witch-hunt. He will have a year maybe less left of his term. He will be weakened to the point where he will be lucky to get 30% of the vote. The American people will vote him out of office. At that point, prosecutors will be free to go after Trump. The next duly elected President is not going to pardon Trump. Donald J. Trump may very well become the first former President to serve time in prison. Now wouldn’t that be a better result than impeachment?